Ms. Thomas, former Vice-President of Community Affairs at WABC-TV is a media,community affairs and board consultant with more than 30 years experience in both the corporate and non-profit sectors. 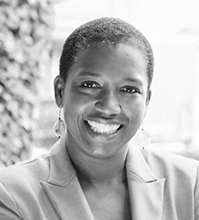 Ms.Thomas has held several roles as member and board chair of non-profit organizations throughout the tri-state and was a recent candidate for City Council in Brooklyn. Ms. Thomas holds a BA in Journalism from Rutgers University and an MA in Media Studies from the New School and an honorary doctorate of humane letters from St. Francis College. She is a proud resident of Ditmas Park, Brooklyn, where she lives with her family.